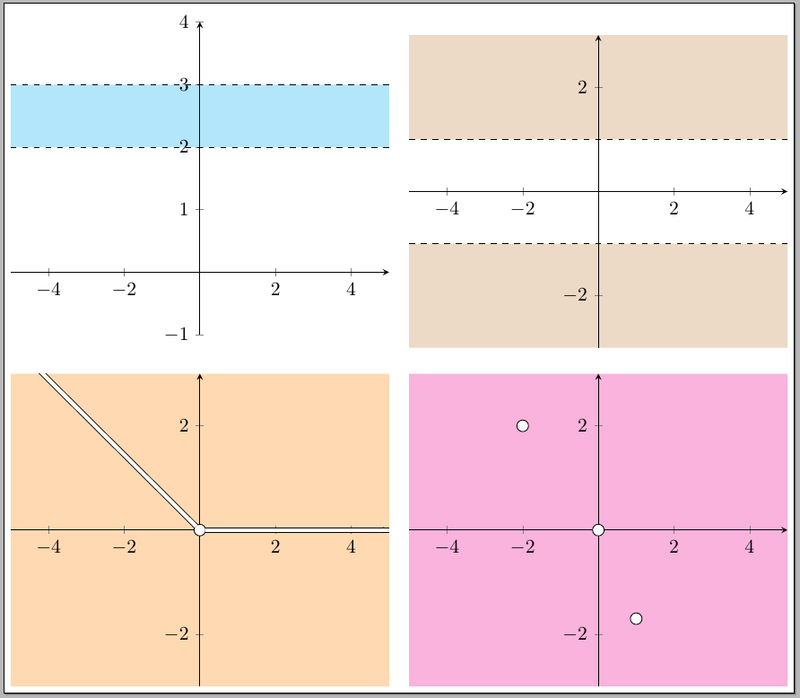 I was wondering which is the most appropriate tool to draw sets in the Euclidean plane (with axis) such as the plane minus a given ray or the points in the plane which have a y coordinate between 2 and 3 . I was about to use pgf plots but that doesn't allow me to shade so freely the given regions (specially in the case of the whole plane minus a couple of points or lines), then I read about tkz-euclide but I have no clue how to use that one. Any suggestion? Not the answer you're looking for? Browse other questions tagged pgfplots tkz-euclide or ask your own question. Marking (resampling) a point on a pgfplots curve, interpolated from table data?